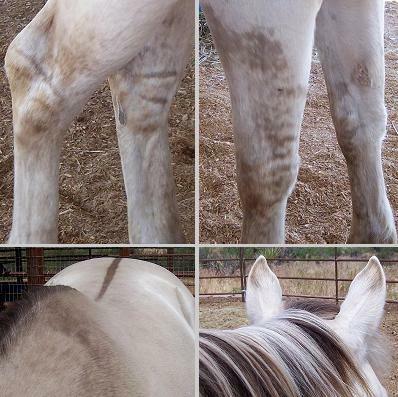 A special thankyou to Tara of Rising Moon Ranch, Scottsdale, Arizona for sharing these and the following photos of her superb and unusual horses. She will shortly have two classic dun (or grullo champagne) stallions at stud. Dun horses is fairly common in American Quarter Horses. It's an ancient color and there are stone age paintings depicting what seem to be dun horses.